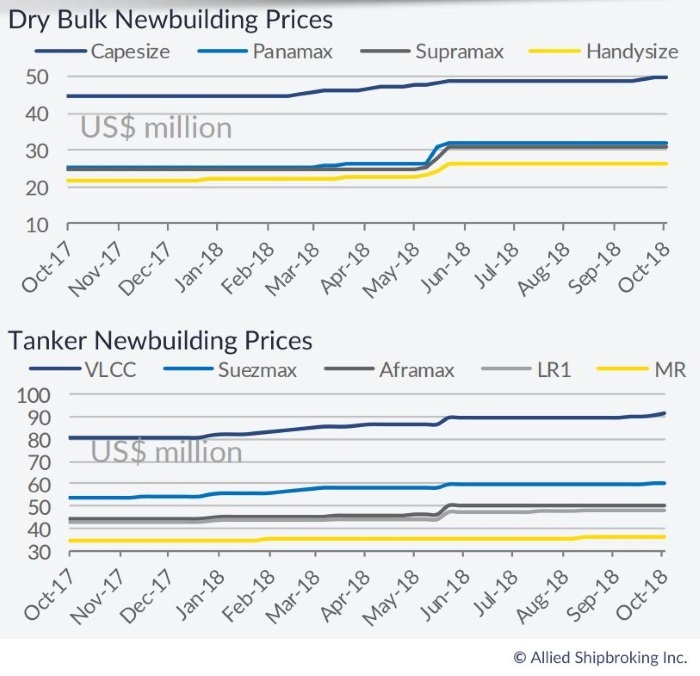 In its latest weekly report, shipbroker Allied Shipbroking said that it was “a relatively quiet week in the newbuilding market, with the level of reported activity scaling back slightly. Despite the small number of new contracts, things were still relatively interesting. In the dry bulk front, a ramp up in interest from Far Eastern owners was seen, as 4 new orders were placed for 12 Ultramax and 2 Kamsarmax vessels, all within Chinese yards. Further orders are expected to be noted during the next couple of months given the current trends noted in terms of freight rates. On the tanker side, there was only one new contact slipping through this past week, with the Iranian state oil company contracting 3 new Aframax tankers from its local shipbuilder. In terms of the other main sectors, we witnessed an order for 4 feedermax containerships from Japanese interests, while an order was also placed at Samsung yet another LNG carrier. As a result of the positive momentum noted in recent months, we should continue to see a fair flow of new orders emerging over the coming months, while prices have started to reflect a more aggressive and bullish attitude being present amongst shipbuilders now”. In a separate weekly note, Clarkson Platou Hellas said that “in Dry, Huangpu Wenchong have announced an order for a further pair of 120K Mini capebulkers for CSSC Shipping. The 5th and 6th vessels in the series that have been contracted against employment to Cargill and are expected to deliver in late 2020. 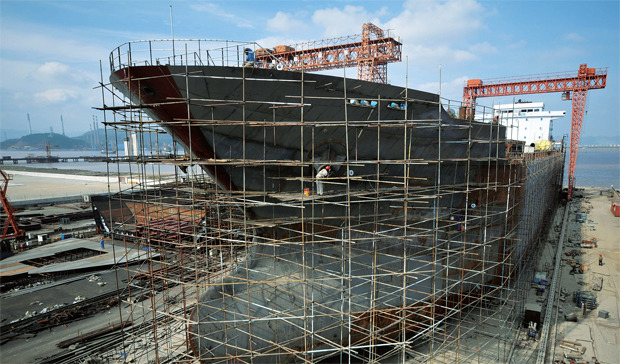 AVIC Leasing meanwhile, have placed an order for 4 firm 63K Ultramaxes at Yangzhou Dayang Shipyard. This is the former Sinopacific facility and this order follows on from the recent domestic orders placed at the yard. Two of these new orders are expected to deliver within the end of 2019 and remaining two in 1H 2020. In Gas meanwhile, clients of Thenamaris have ordered a further one x 174,000 cbm LNG Carrier at HHI with delivery due in 2021. This will be the second in their series on order at the yard. Finally, interests associated with the Fredriksen group have ordered a pair of 174,000 CBM LNG carriers at Hyundai Samho with delivery expected in 1H 2021. These vessels will be built with x-DF engines, similar to the Thenamaris order”. Meanwhile, in the S&P market, Allied added that “on the dry side, another week with the market holding at fairly good activity levels, though relatively slower then what was seen a week prior. The majority of reported volume seemed to have been focused on the larger sizes with Capes and Panamaxes attracting most of the buying interest being seen of late. We have also seen a considerable portion of buying interest attracted to more modern tonnage, possibly taking on the lower risk involved with regards to any conversions and works that need to be done in order to comply with the new emissions regulations. On the tanker side, activity fell back to the average levels we had been seeing during the first half of the year. Most of the deals that emerged this past week seemed to have focused on the product tanker segments, while given the current trends being noted in the freight market for some of the larger crude oil carriers, it wouldn’t be much of a surprise if we started to see buying interest shift here”. 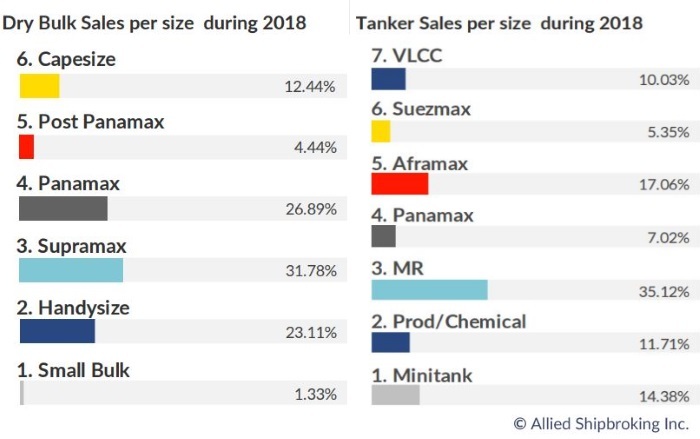 Similarly, VesselsValue said this week that Capesize and Handy values have remained stable, with slight softening in Panamax and Supramax tonnage. 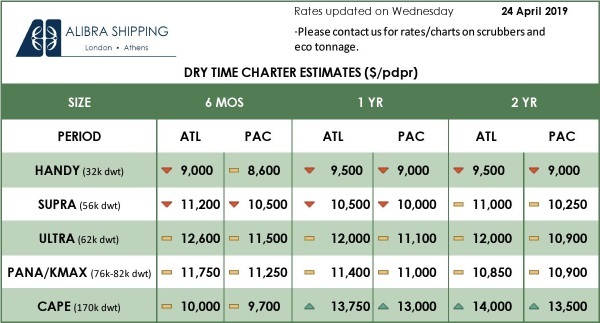 “Capesize Bulk Asia (181,400 DWT, Jul 2014, Koyo Dock) sold to Eastern Pacific Shipping for USD 40.5 mil, VV Value 39.68 mil. Post Panamax Ikan Kedewas (88,300 DWT, Sep 2006, Imabari) sold to Minoa Marine for USD 12.5 mil, VV Value USD 12.87 mil. Buyer waived inspection. Panamax New Herald (72,900 DWT, Sep 1997, Daedong) sold for USD 5.0 mil, VV Value USD 5.98 mil. Supramax Indigo Evolution (55,600 DWT, Oct 2010, Mitsui Ichihara) sold for USD 15.5 mil, VV Value USD 15.87 mil. 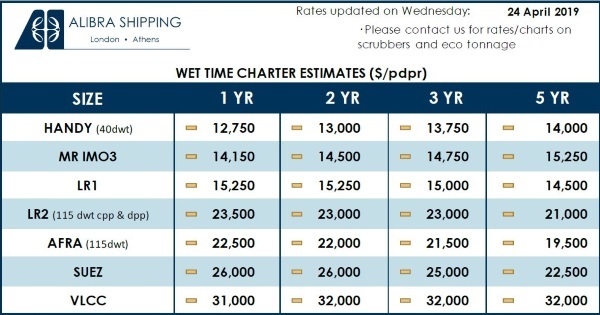 Handy BC Voula Seas (28,500 DWT, Jun 2002, Kanda) was sold for USD 6.5 mil, VV Value USD 6.41 million”, the ships’ valuations expert said. Previous: IBIA: Barking up the wrong tree?